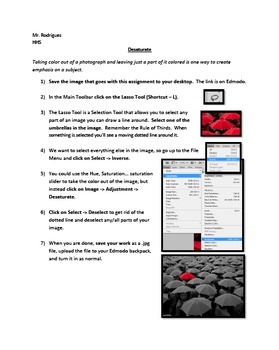 The zip file contains a .docx file with the directions for playing with the Desaturate setting in Photoshop. I've also included the photograph that was used in the example. It might be prudent to explain and relate this technique to the Elements of Art and Principles of Design (Emphasis & Color).